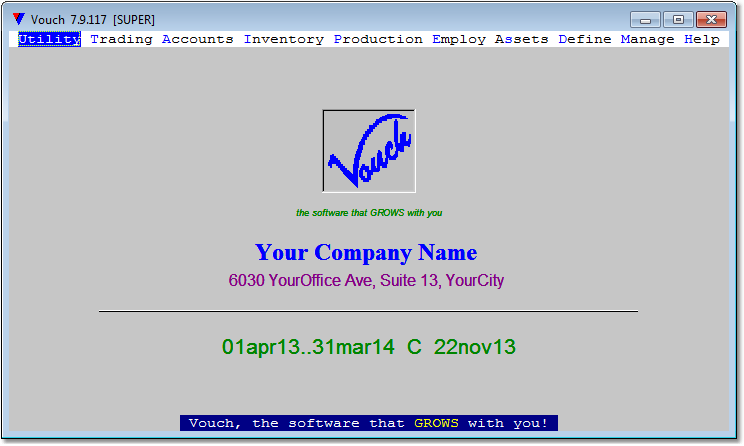 Vouch is a comprehensive application software package for small to mid-sized general trade and industrial units managing: 1) Financials ( Vouchers to Balance-Sheet, Depriciation, Cost Centers, Budgeting ), 2) Trading ( Orders, Material Receipts/Issues, Purchases, Sales, Returns ), 3) Inventory ( Stores, Categories, Groups, Differential Rates, etc. ), 4) Production ( BOMs, Assemblies, Processes, etc. 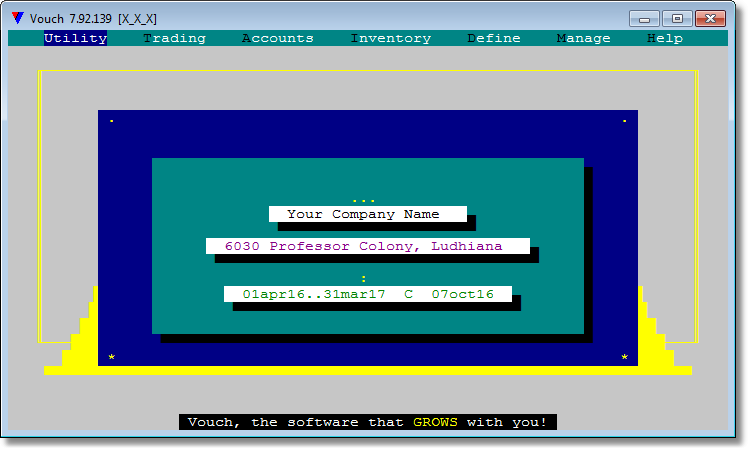 ), 5) Payroll ( Employees, Increments, Providend Fund, Advances, etc ), 6) POS ( a highly configurable, general purpose. scanner ready, POS system with multi-screen display ). Vouch also provides tools to analyze above recorded data to be extremely useful to the management for day-to-day decision making. Vouch also provides objects to present data in various formats recognized by external agencies, such as, customers, vendors, contractors, and governments. Vouch targets the small to mid-sized trade and industrial units in general and some specific verticals in particular, viz., Schools, Hotels, Hospitals, Forex Traders, Petrol Pumps, Transports, Brick-klin Industry, and many more. This help manual is intended to explore the hidden power of Vouch, expressed as GROWS. All the care has been exercised to explain in detail all the functionality required from the very basic operations to features targeting power-users. The objective of this help essentially revolves around visual-interaction methodology instead of text-oriented approach.